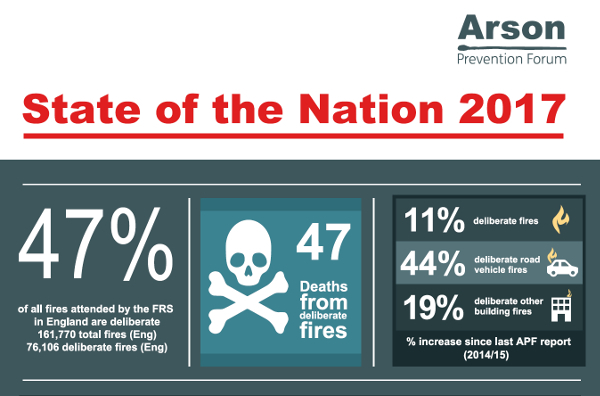 As a member of the Arson Protection Forum, Burgoynes’ Chris Foster has collaborated with fellow members to produce the State of the Nation Report 2017. The report provides an overview of the cost and consequences of arson, as well as an insight into what is currently being done to reduce its impact. It is aimed at individuals who have a responsibility for or interest in arson reduction, encouraging them to reflect on what can be done to reduce this challenging and multi-faceted societal problem. To view the report, please click on the link below.